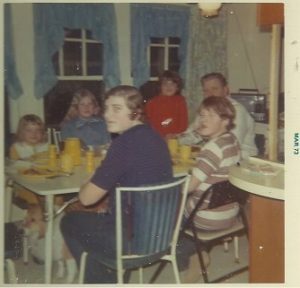 Greetings to all and, as always, welcome to my blog – Mondays & Memories of My Mom! 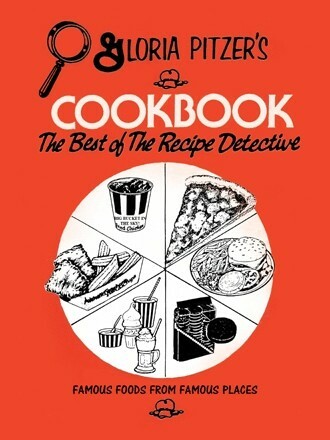 In case you’re new to here, let me introduce myself – I’m Laura Emerich and my mom is the famously renowned “Recipe Detective”TM, Gloria Pitzer. After Mom passed away last year, I decided to start this weekly blog to pay homage to the huge legacy she left behind – from her well-known, writing career to her personal loves of life, family and faith. Mom had a special talent for determining the sources of flavors in a restaurant dish or, even, in a supermarket product. Some of her recipes used unlikely ingredient combinations that were unheard of at that time, like cake mix and mayonnaise, to achieve a certain flavor, color or texture. She also had a special talent to promote herself and her unique creations. Right from the start, “radio” and Mom formed a seemingly natural friendship/partnership. She knew who her target audience was and where to find them! …amid an economic recession with the highest rate of unemployment I had ever experienced, but it was worth the risk. I was a dedicated writer that new someone had to give homemakers something more than what they were being given in the colored glossy magazines…There had to be more to mealtime… The food industry gave us more appealing products than did the cookbooks we trusted. Who would want to imitate “fast food” at home? 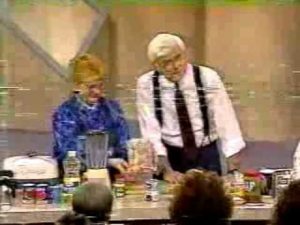 I found that over a million people who saw me demonstrate replicating some famous fast food products on The Phil Donahue Show (July 7, 1981) DID – and their letters poured in at a rate of over 15,000 a day for months on end! While I have investigated the recipes, dishes and cooking techniques of “fine” dining rooms around the world, I received more requests from people who wanted to know how to make things like McDonald’s Special Sauce or General Foods Shake-N-Bake coating mix or White Castle’s hamburgers than I received for those things like Club 21’s Coq Au Vin. … making the reader feel as if you’re right there, in the kitchen with them, peeling, cutting, chopping, stirring, sifting and all the other interesting things one does when preparing food. It is my intention in this book… [and every book] …to make you feel at home in my kitchen, just as if we’re preparing the dishes together…to later enjoy with those who share our tables with us. Mom often received “fan mail” and requests for specific dishes or products. Some sought out Mom’s talents through her many radio show interviews around the world, asking her to discover how to make their favorite restaurant dishes. Others, who relocated across country or overseas, made requests for Mom’s “Recipe Detective”TM talents to come up with copycat versions of certain grocery products they couldn’t get anymore. There was always a new and interesting challenge for Mom to conquer. 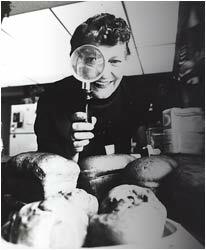 She was a pioneer of the “secret restaurant recipes” and “copycat” movement, inspiring so many followers and other copycats! Nothing empowers better success than good, old fashion hard work and, simply, showing others how much you care. She never knew the companies’ actual formulations or processes unless they willingly shared that information with her – and, while most didn’t, there were a few that did (or, at least, gave her hints to point her in the right direction) because they were impressed by her and liked what she was doing! Call it flattery or call it free publicity, those companies – White Castle, the original “Colonel Sanders” (after he sold his franchise) and the Sanders Candy Company, to name a few – saw it as a win-win! A letter of appreciation from Gail Turley, Director of Advertising and Public Relations with White Castle Systems in their Columbus, Ohio headquarters reflected the feelings not often expressed by the major food companies, whose products I attempt to imitate with “make at home” recipes. 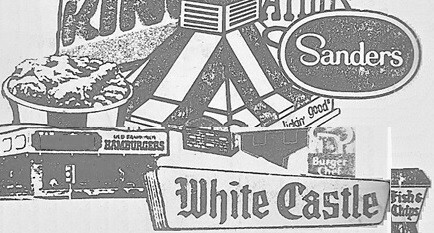 “On behalf of White Castle System,” the letter said, “We are honored that you deemed the White Castle Hamburger worthy of an attempt at replication of the early days of White Castle and Billy Ingram…” And she enclosed a check to cover the cost of purchasing 15 copies of my first Secret Recipes Book to distribute to their Regional Managers. A far cry from the reaction I received from Orange Julius and Stouffer’s, who threatened legal action against me. THE TASTE OF THE TOWN! WARREN PIERCE OF WJR – Radio, Detroit, was one of my first radio friends with whom I would visit on the air regularly, giving out recipe secrets from the food industry. 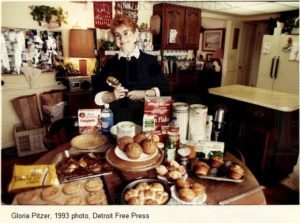 When Warren had an evening show, we found that the listeners’ responses to the famous “make-at-home” recipes prompted some very interesting challenges… Each time I offered Warren’s listeners one of the Detroit recipes, along would come requests for even more that I had not yet investigated. So, I would check out the new eating place, taste the house specialty and return to Warren’s show with the previously requested recipe. [Much like Bob Allison’s “Ask Your Neighbor” show.] This is how most of the recipes in my collection were originally discovered. It was the beginning of a beautiful relationship, between my Secret Recipes and Fred Sanders’ products and, I learned, encouraged many out-of-state orders for their products whenever I talked about them during my frequent radio visits around the country. On the other side of that imitation or plagiarism coin, there were also (and still are) those who’d replicate what mom was doing in the “copycat” and “secret recipes” field – after all, as I’ve said many times before, she was a trailblazer and an inspiration! Followers were to be expected, as the field proved to be very popular and have endless sources of inspiration from restaurants to grocery products to celebrities’ favorite dishes and so on. Often, other imitators would properly credit Mom for inspiring their own work, which was similar but not exactly the same; as Mom often encouraged her readers to adapt their own tastes and styles to her recipes and to feel creative in the kitchen, changing them up a bit! But, then, there were others who blatantly copied Mom’s work and presented it as their own; some even flagrantly copied her recipes word-for-word without crediting the source. Mom had many thousands of fans, all around North America and across the pond, who often told her about such plagiaristic cases as they came across them in their areas; and, of course, she would always, rightfully, pursue them. Before home-computers and the World Wide Web, “word” didn’t get around as quickly as it does now – especially since the influx of social media! However, make no mistake about it, “word” DID get around! This new, fast, digital age is a triple-edged sword, though; as it makes plagiarism easier and quicker to accomplish, likewise, it’s also easier and quicker to discover such illegal acts – and, yet, it’s an instantaneous, endless source of inspiration and information at your fingertips! I hope you’ve enjoyed this week’s blog. Please join me again, next Monday, when I write about my mom’s and my own experiences in dieting – “How to not Lose it, While You’re Trying to Lose It!” In closing, I usually share one of Mom’s recipes from her “free recipes and ordering information” sheets. In keeping with the upcoming “Fat Tuesday” celebration, I’d like to share this hot fudge sauce with you. This is actually a different version of the one in her “free recipes” offer, which I shared in an earlier blog on Oct. 15, 2018. Mom could often find various ways to create the same dish or product. 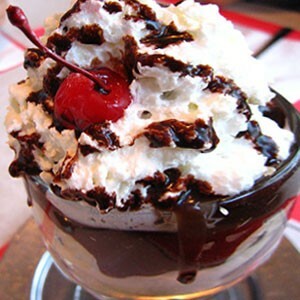 Her hot fudge sauce is just one such example. This “Recipe #2” version of Sanders-Style Hot Fudge Sauce can be found in her last book, Gloria Pitzer’s Cookbook – The Best of the Recipe Detective (Balboa Press, January 2018, 1st Printing; p. 255), asking only for proper credit if you care to share it. 12 ounces Nestlé’s milk chocolate [candy bars or chips] – Do not substitute on the brand! 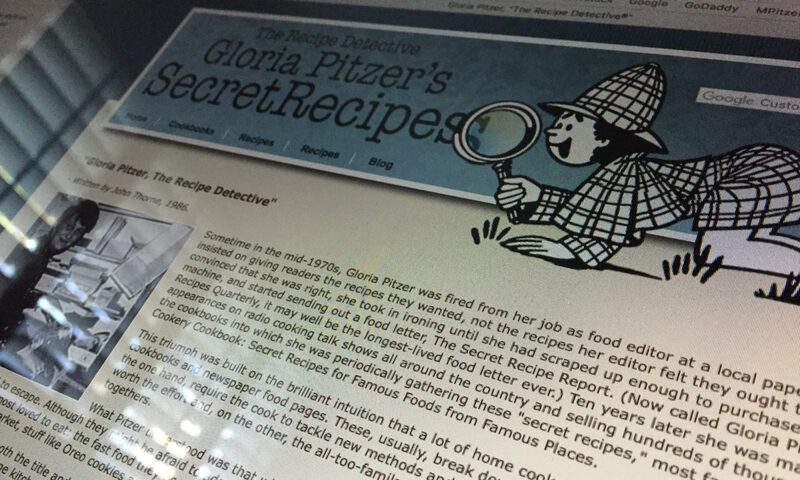 1998-2004 – Secret Recipes Bulletin was a series written, illustrated and published by Gloria Pitzer (Secret Recipes, Marysville, MI). 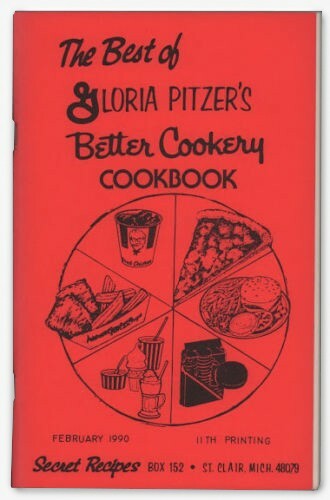 There were 7 “Bulletins” in all – most were double-sided, 8½” x 11”, full-page collections of recipes inspired by specific restaurants or “name brands”, plus tips and historic information – that sold for $1 each and are NO LONGER IN PRINT. Bulletin #104 – 20 Different Cookies from One Recipe! 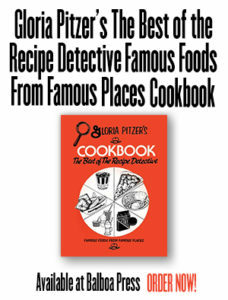 – Based on a basic recipe for a Mrs. Field’s-Style cookie, which Gloria called “Mrs. Meadows’ Soft Cookies”; plus, 20 options to go with it! 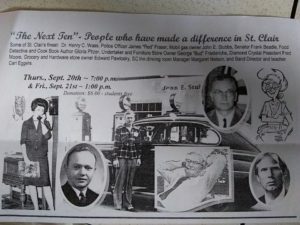 This bulletin had a one-page, 8½” x 14”, legal-size format.